When I think of service, I do not think of servitude. The gift of genuine service is actually a swift path beyond the confines of ego view. Service as a practice of generosity or purification has been used as a tool for awakening for thousands of years. Practiced with diligence, it rapidly overcomes the self-serving, self-referencing mind. But it is so easy to fall prey to the eight worldly dharmas. How often do we give while looking for praise, and don’t we get upset when we don’t receive it? Many times this results in shifting blame onto others. And so it goes for the rest of the infamous eight: gain and loss, pleasure and pain, fame and loss of reputation. Scrambling to avoid discomfort we are lead away from the direct joy of giving. In the 1970’s a young man met a rather extraordinary meditation teacher in Toronto and was taken by her direct and idiosyncratic approach to meditation. “Come see my teacher” she said “and see the source of all I know”. Intrigued that she spoke so highly of her teacher, he decided to quit his job, get rid of his belongings, and head off on a spiritual journey that was to change his life. Within two weeks, he found himself sitting in a campground with 60 strangers drawn from different corners of the world by their desire to work with this gifted teacher. A car pulled up outside the marquee and everyone stood up as a tall Canadian man wearing a woolen shirt and a sweat-soaked Australian hat strode into the room. Within the young man’s head there was a moment of stunned silence as his expectations of exotica and the supernatural collided with the reality of the simply dressed but impressive man in front of him. The young man stood there looking a bit perplexed until he suddenly noticed everyone around him doing prostrations. Quickly he pulled himself out of his reverie and joined the others. Once everyone sat down, the teacher started to speak. Soon all thoughts and concerns vanished as a web of words transported the audience into an immense vision of life and liberation. At the end of the class, the teacher announced he needed a tent set up for him and asked for volunteers. Much to the young man’s surprise, most people ignored the request and simply packed up and left, leaving him and two others to figure out the tent. As they began to erect the tent the teacher strolled over, extended his hand and introduced himself to the young man. As the young man blurted out his name, his extended hand was met in a warm grip full of immediate support and infinite potential. As many of you have guessed, the teacher was Namgyal Rinpoché and I was the young aspirant. That moment of simply reaching out to offer a helping hand became a theme which guided my life for the next 27 years. For every time I have the courage to reach out in genuine offering, it is always met with an immediate reward far greater than I could have conceived. This experience still continues to guide me and it gives me such pleasure to see others engaged in this wondrous dialogue. More and more people are showing up at the Dharma Centre with the simple idea of making an offering. They come to help, to share, to enjoy the process of giving, to learn the benefits of working together. Many are new to the teaching and to the centre, each on their own search for understanding. It adds a whole new dimension for me to be to be a part of this process. Yet, isn’t this how the centre was built in the first place; people coming together to offer their time and talents to further their vision for the future, a future not just for us, but for others, for generations to come. It has always been the generosity of people applying their practice in the midst of serving that has made the centre what it is. It is my hope that more people will come to enjoy the beauty of the practice of generosity. In this world of instant gratification and seemingly endless consumption, more of us will come to appreciate the profundity of offering rather than taking. It is my continuing hope that many more of us will extend that helpful hand to participate in the grandest of human dialogues; the ability to move beyond self through the practice of generosity. Terry Hagan spent over a quarter century as the personal assistant of the late Ven Namgyal Rinpoche. During this time he accompanied the Rinpoche traveling the world, giving teachings and empowerments in many countries. Rinpoche had a unique ability to integrate teaching from both eastern and western sources, revealing the universality of the unfolding mind. He made extensive use of nature, frequently leading trips to many parts of the world where students were taught to use nature studies to enhance their practice. 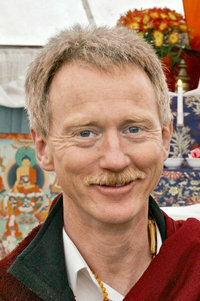 Terry was also extremely fortunate to have had teachings and empowerments from many Tibetan Masters, including H.H. Dalai Lama, H.H. Gyalwa Karmapa, H.H. Sakya Trizen, H.E Chogye Trizen Rinpoche, among others. He has also studied Theravada Buddhism and The Western Mysteries. He has recently completed a retreat with the Javanese movement meditation teacher Suprapto Suryodarmo. Since Rinpoche’s passing, Terry has been sharing his experience and insights with students in North America, Europe, New Zealand and Australia. 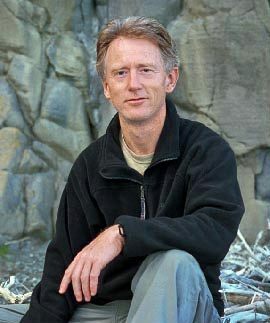 Terry uses his wide ranging interests, his love of nature, and above all his continual commitment to the teaching of compassion, to create a refreshing accessible approach to meditation.